Polk Medical Center has been named a Top Rural Hospital by The Leapfrog Group, which recognized the hospital’s accomplishments in patient safety and quality care. 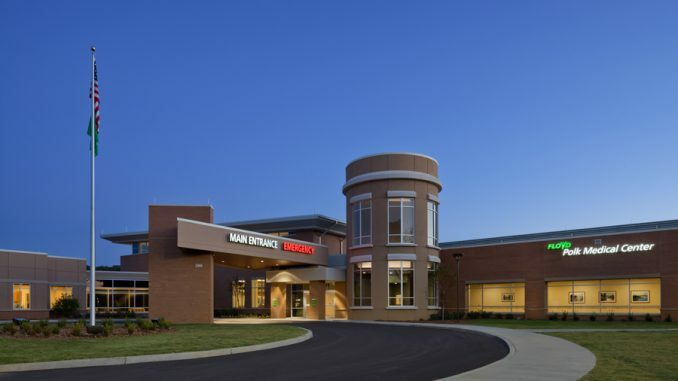 Announced today, the award is widely acknowledged as one of the most competitive honors American hospitals can receive from Leapfrog, an independent hospital watchdog organization. “Our goal is to provide the highest level of care for those who put their trust in us every day,” said Tifani Kinard, Polk Medical Center Administrator. “Leapfrog’s recognition is evidence that we have been successful in reaching that objective.